Look at all of that stuff! 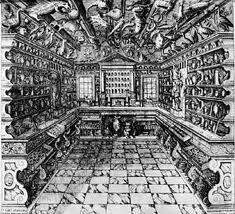 I have always been fascinated by the idea of cabinets of curiosities, especially as the ancestors of today’s modern museums. To understand museums today, it is important to look at their past. Considered to be the first “modern” museum, the Ashmolean Museum in England opened at Oxford University in 1683; it is generally thought to be the first museum established by a public body for the public benefit. The Tradescant family developed the collections from various parts of the world and displayed them in their London home, prior to Elias Ashmole’s creation of a purpose-built museum. The museum had ten rooms and three of those were open to the public. Collections included the “hieroglyphicks [sic] and other Egyptian antiquities” donated by Dr. Robert Huntingdon, an “intire [sic] mummy,” and “Romane [sic] antiquities.”These collections represent those things that were foreign and intriguing to Oxford students, faculty, and residents, and thus could be classified as one of the most well known cabinets of curiosities. In Memphis, Tennessee, the Pink Palace Museum began as a sort of local cabinet of curiosities in the beginning of the last century. The Mansion portion of the museum was originally built as the home of Clarence Saunders (of Piggly Wiggly fame), but when he went bankrupt the city was given the house to begin a museum. The mansion portion retains much of that early period of museum philosophy: it contains a stuff polar bear and a shrunken head among other cabinet type objects. These items are among the most popular among school children and other people who visit the site. 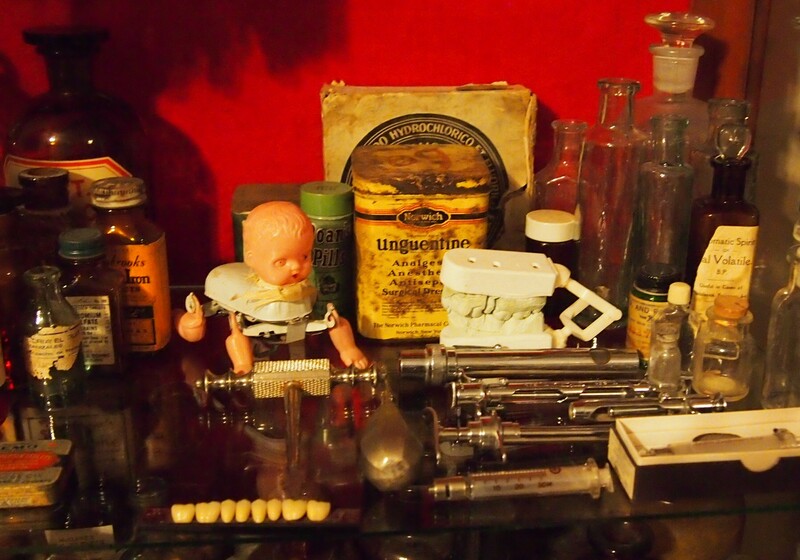 In my own home, a cabinet of collections of sorts has developed with medical equipment, animal skulls, apothecary bottles, and other weirdness. Successful shows such as Oddities on the Science Channel might contribute to the rising popularity of personal cabinets of curiosities. While cabinets have their place in history, what role do they play today? Do you have a cabinet or curiosities or know of a museum that holds on to those traditions? One of my memories from childhood came about during a visit to the Children’s Museum in Nashville, TN. 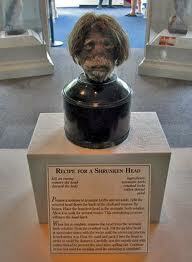 It was there for the first time ever that I saw a shrunken head. I still have that picture taken of this oddity some 50 years later. And yes, they, too had a polar bear! I remember how huge these creatures were. Oddities and curiosities are good to experience. We have questioning minds and museums attempt to answer those questions. Some revel in simply creating more questions. In either case, it is we, the public, who are enriched by the experience. In 1974 I had the opportunity to tour the Ashmolean Museum at Oxford as well as the Bodleian Library. Both are must stops while visiting Oxford. Somewhere on this list must also be the White Horse Tavern! And Stonehenge remains an open air museum of which we still marvel at. A country that values its past must assuredly appreciate its opportunities of the future. How fortunate are we to live in a nation with so many museums!